​Jonathan Shik is the group leader and works on the ecology, evolution, and physiology of insects from tropical rainforests to arid Mediterranean highlands. He innovates novel approaches to explore: (1) how social insect colonies work, (2) how the physiological traits of individual workers scale up to shape the performance of whole colonies, and (3) how these systems respond to environmental stress. Antonin Crumiere is a postdoctoral researcher exploring the evolution and ecology of crop production in leafcutter ants. Starting in September, he will use a combination of field and laboratory experiments to explore how leafcutter ants and their domesticated fungal cultivars communicate their nutritional needs. Zsuzsanna Csontos is a masters student exploring how the fundamental nutritional niche breadth of fungal parasites influences the diversity of hosts they can infect. The project will focus on insect pathogenic fungal genus Metarhizium, more precisely, of the species M. acridum (specialist pathogen of locusts), as well as generalist insect-pathogenic fungi such as M. robertsii and M. anisopliae. Zsuzsanna is co-supervised by Professor Henrik de Fine Licht from the Department of Plant and Environmental Sciences at the University of Copenhagen. Pol Lannes Salvado is a Masters student from the University of Barcelona who is working on the ecology and evolution of fungus-farming ant colonies. Sebastian Kofoed is working on a bachelors thesis studying the evolutionary ecology of male ants. Specifically, he is interested in understanding factors generating variation in sperm number across species and within colonies of fungus farming ants. Sebastian is co-supervised by Jes Pedersen (U. Copenhagen). Calum Stephenson is beginning a Masters project exploring the chemicals used by fungal symbionts to signal their nutritional requirements to their leafcutter ant farmers. Calum is co-supervised by Antonin Crumiere and Professor Birgitte Regenberg from the Section of Ecology and Evolution at the University of Copenhagen. Maria Scotwin recently completed a bachelors thesis in my lab studying how division of labor shapes gardening behaviors across species of fungus-farming ants. Maria is now working as a research technician in my lab. Aidan James is performing a bachelors thesis project exploring the fundamental nutritional niche requirements of fungal symbionts of leafcutter ants. Hugo Merienne is a PhD student in the lab of Vincent Fourcassie at the University of Toulouse in France, and is working in my lab as an ERASMUS Fellow during the fall of 2018. His thesis work is on the biomechanics of load transport in seed harvester ants. We will be doing a series of metabolic respirometry experiments to explore the energetic costs of carrying seeds relative to worker body size in Messor barbarus. Winnie Rytter (2015-2017) completed a Masters Degree in my lab studying the physiological basis for foraging behaviors in leafcutting ants. Her first chapter was recently published in Animal Behavior. Her second chapter, just accepted to Ecology, used stable isotopes to track the flow of nutrients through the complex farming systems of leafcutter ants. Christoffer Bergstedt (2015-2016) completed his Bachelors Thesis in my lab (co-supervised by Jes Pedersen) ​at the University of Copenhagen studying nutritional ecology of invasive ants. Mads Wolter (2017-2019) has completed his masters thesis using stable isotopes to study the production ecology of fungus-farming ants. Mads was co-supervised by Anders Michelsen from the Section of Terrestrial Ecology at the University of Copenhagen. 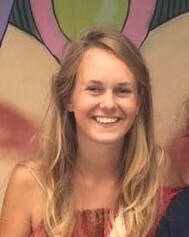 Birla Krabbe (2017-2019) performed her Bachelor's thesis studying the nutritional ecology of the ant Monomorium pharaonis to understand its success as an invasive species. Birla was co-supervised by Jes Pedersen (U. Copenhagen), and then worked as a research technician in my lab. She is now pursuing a Masters degree in Nature Management.